Watch The History Channel for a couple days, an undoubtedly you'll see some sort of program about strange, occult things that the Nazis were researching during WWII. Or just go watch/read Hellboy. Basically the same thing, but only one has Ron Perlman. 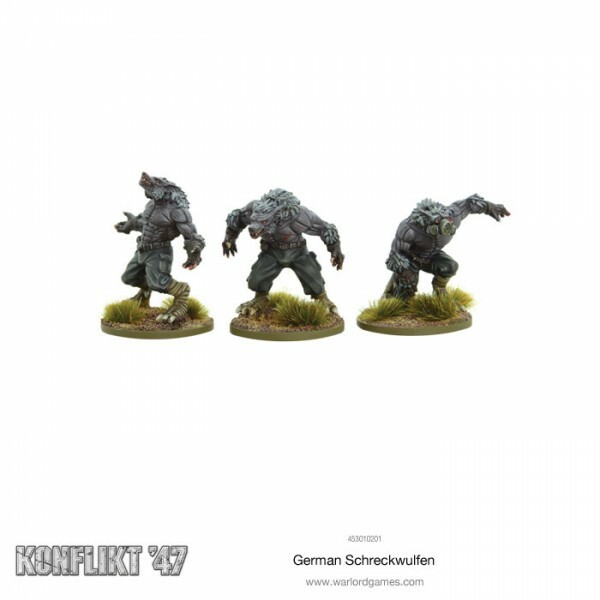 Anyway, in the alternate-history world of Konflikt '47, those occult searches yielded some good results, some of which you can see in the new releases available from Warlord Games. Here you can see the new Schreckwulfen squad, as well as the Nachtjager squad. Neither are quite human. But if you want some werewolves or man-bat-things on the field, they're your go-to. If you prefer to stay with fully-human troops (where's the fun in that? 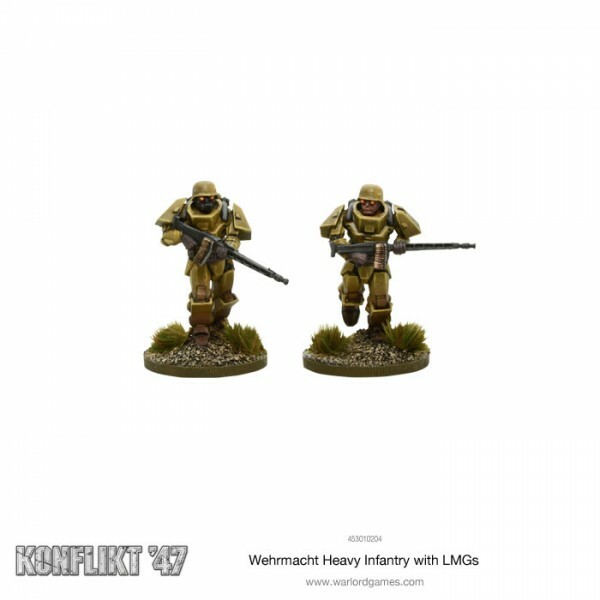 ), you've still got a new release in the form of the German Wehrmacht Heavy Infantry with LMG’s.